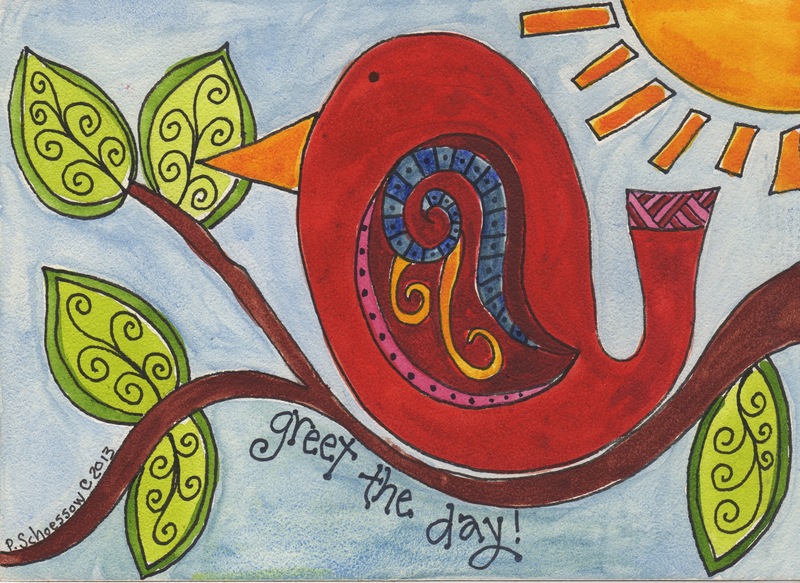 Sometime ago, I painted a little painting that featured a red bird basking in the sunshine. 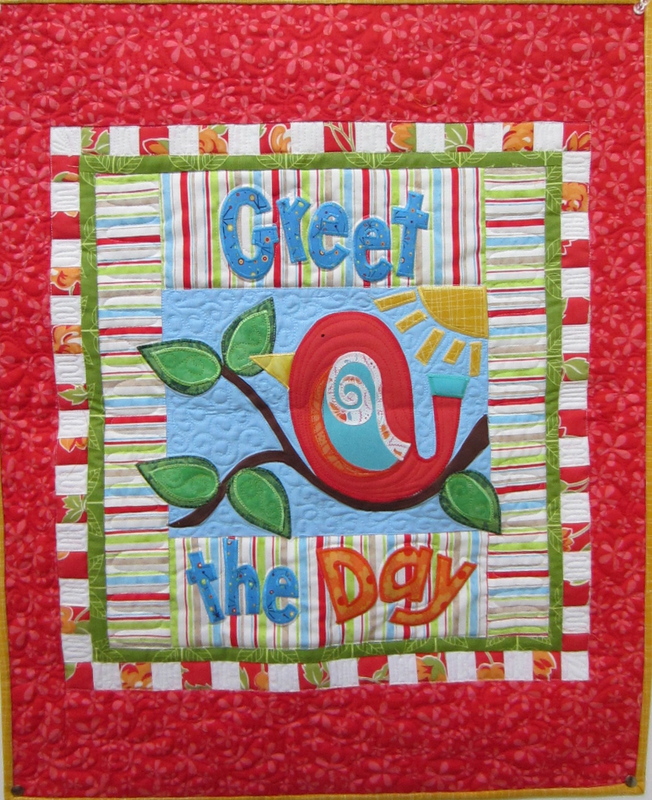 I thought the design would make a great applique project. So I recently drew out the pattern and made this small quilted wallhanging. It hangs in my front entryway. I used machine applique (my preferred method because it is faster!) and added some simple quilting. Yes, I actually pieced those little red squares! It came out pretty close to the original painting. So what do you think? Greet the Day original watercolor painting on board 5″ x 7″. Available in my Etsy Shop. 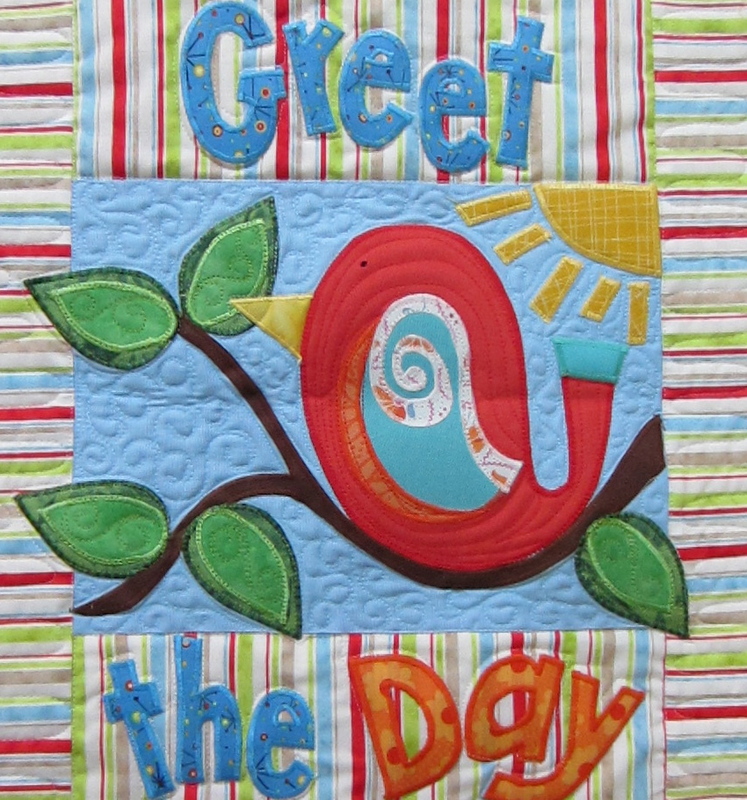 This entry was posted in Uncategorized and tagged Etsy shop, folk art bird, Greet the Day quilt, greeting, machine applique, Quilt, quilted wallhanging, red and blue, red bird in tree, sunny day, watercolor painting by pamelajeannestudio. Bookmark the permalink. Yes, he’s a happy guy. Thanks for looking! Love…Love…Love it!!! You are going to do more of these, right? I would think they would be a hit at quilt shows. Thanks for the vote of confidence! I would like to do more, only quilting takes a lot longer than watercolor. I just need to make the time. Sweet, makes me want to enter your house. It certainly would be wonderful to have all of my internet friends over. It would be a great creative group! Thanks, Sheila. I love getting feedback from my artist friends! So happy, bright, and cheerful. Love it!
. “Happy” is what I was going for! Thank you.